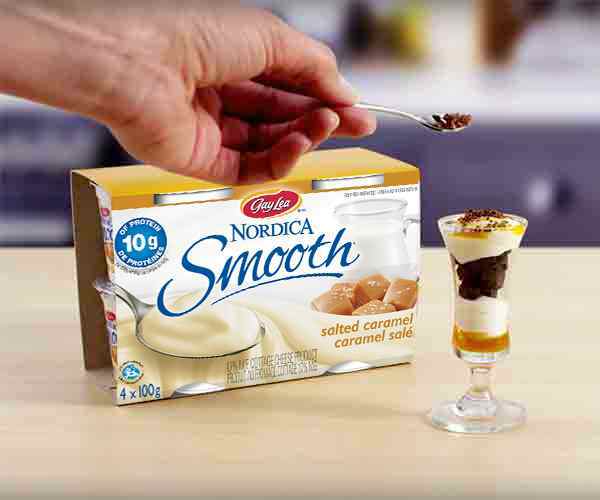 The only thing more amazing than the health benefits of Nordica Cottage Cheese is its taste and versatility. 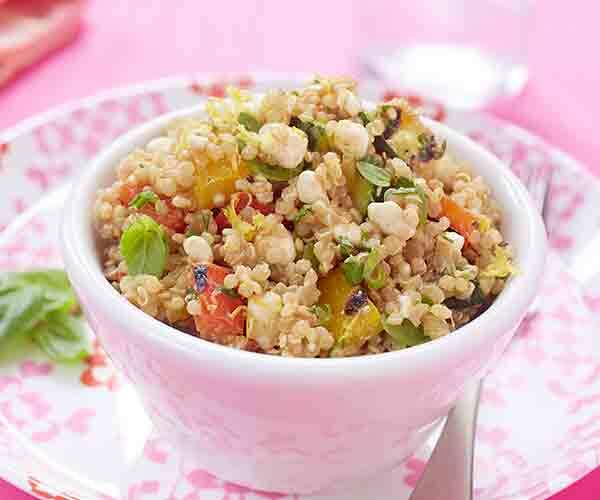 At home in your sweet dishes, savoury dishes, or all on its own; you put the super in this superfood. With fruit, with olives, in lasagna, dips, shakes, and cakes. 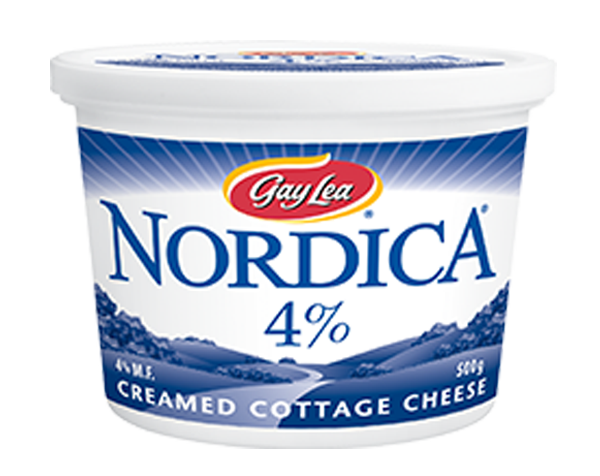 Our rich and creamy Nordica 4% Cottage Cheese goes with all of your favourites. 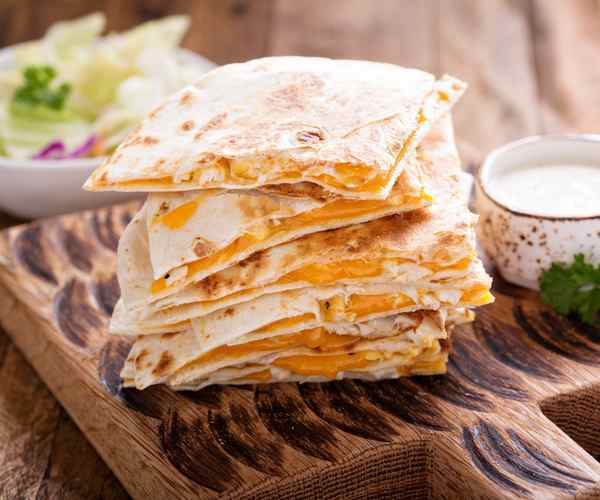 What’s more, it’s loaded with vitamins and calcium and is high in protein. Who says you can’t have it all? Milk ingredients, salt, citric acid, guar gum, mono and diglycerides, xanthan gum, locust bean gum, bacterial culture, microbial enzyme, carbon dioxide, vitamin D3*. * made with vitamin D fortified milk. 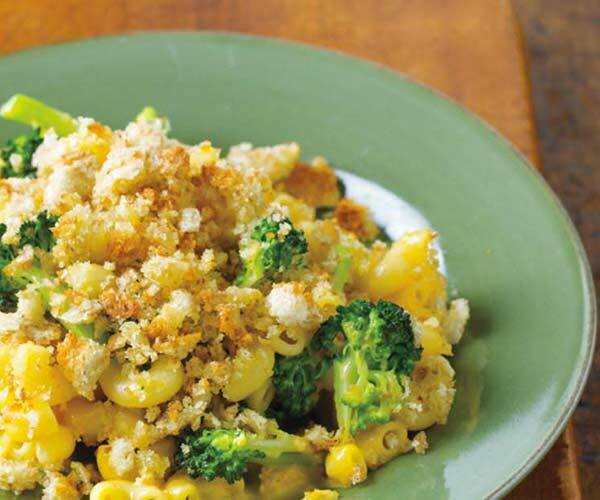 With fruit, with nachos, in pastas, salads, shakes, and cakes. 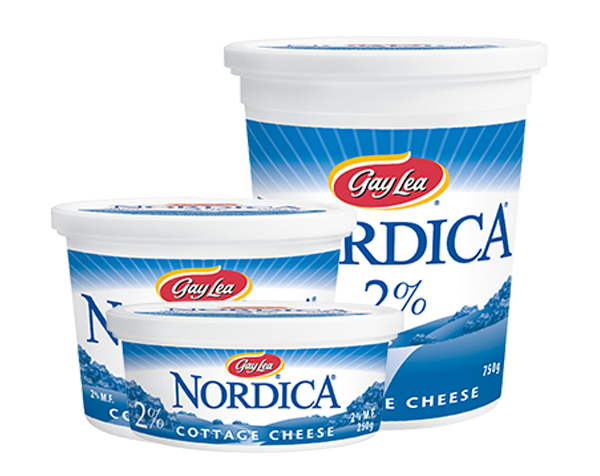 Nordica 2% Cottage Cheese goes with all of your favourites. 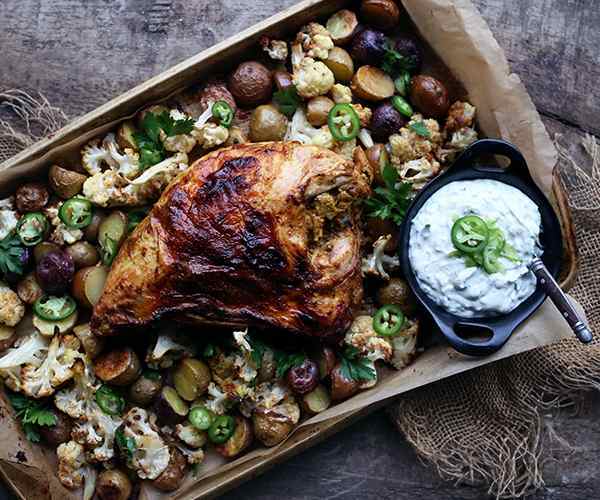 What’s more, it’s loaded with vitamins and calcium, is high in protein, and low in fat. Who says you can’t have it all? Milk ingredients, salt, citric acid, guar gum, mono and diglycerides, xanthan gum, locust bean gum, bacterial culture, microbial enzyme, carbon dioxide. 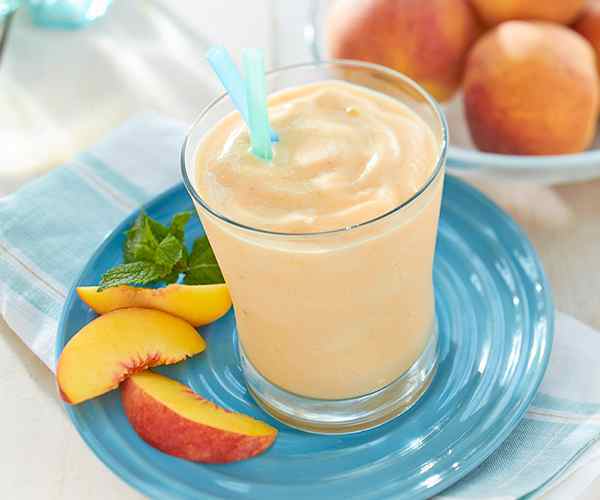 With fruit, with maple syrup, in meatballs, salads, shakes, and cakes. 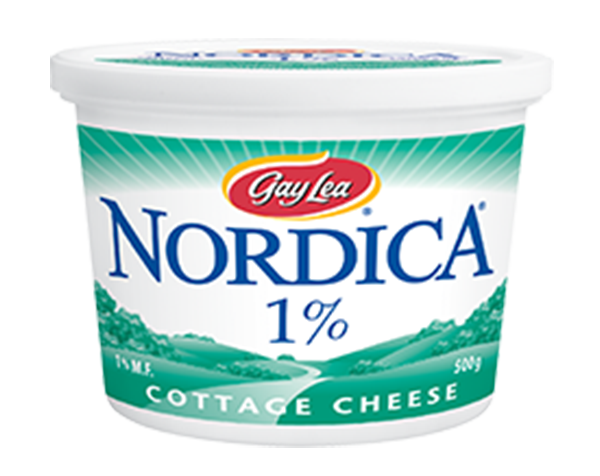 Nordica 1% Cottage Cheese goes with all of your favourites. What’s more, it’s loaded with vitamins and calcium, is high in protein, and low in fat. Who says you can’t have it all? With fruit, with granola, in lasagna, pitas, shakes, and cakes. Nordica Fat Free Cottage Cheese goes with all of your favourites. 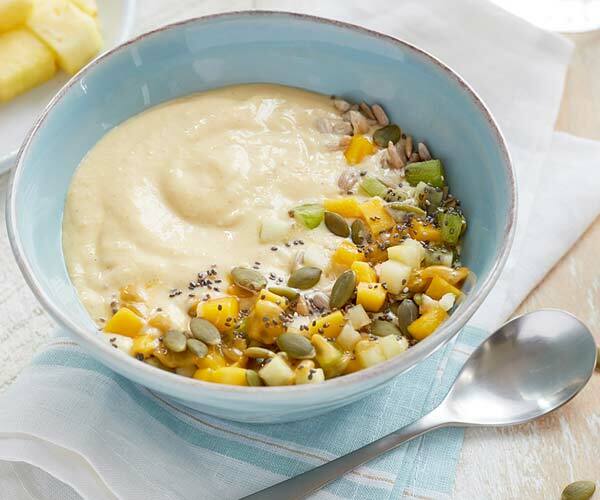 What’s more, it’s loaded with vitamins and calcium, is high in protein, and low in fat. Who says you can’t have it all? Modified milk ingredients, salt, modified corn starch, colour, guar gum, mono and diglycerides, citric acid, carraageenan, bacterial culture, microbial enzyme, carbon dioxide. 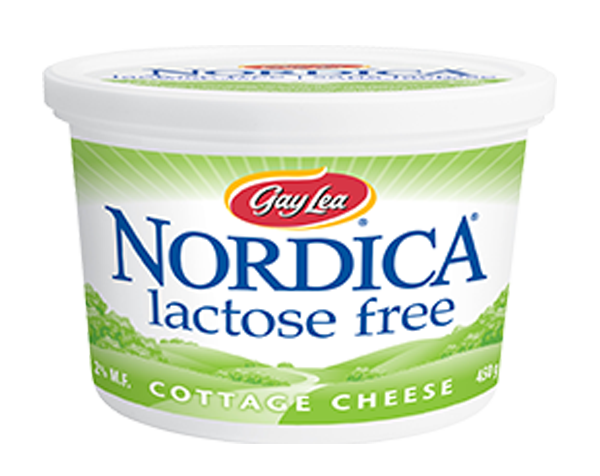 With the addition of a Lactose Free Nordica, more people can explore cottage cheese. 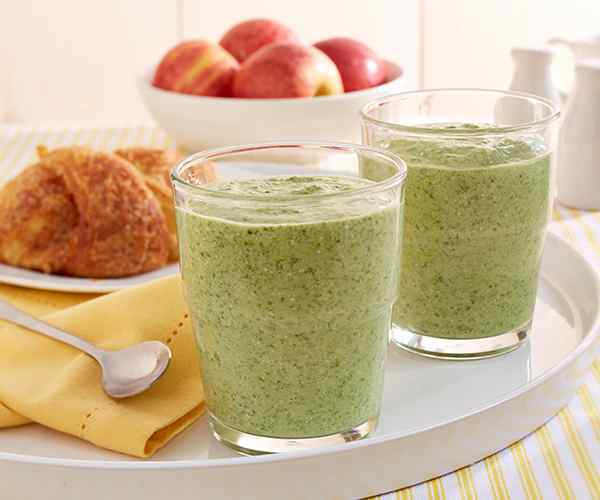 In shakes, in cakes, in salads, or plain, its great taste is matched only by its nutrition. 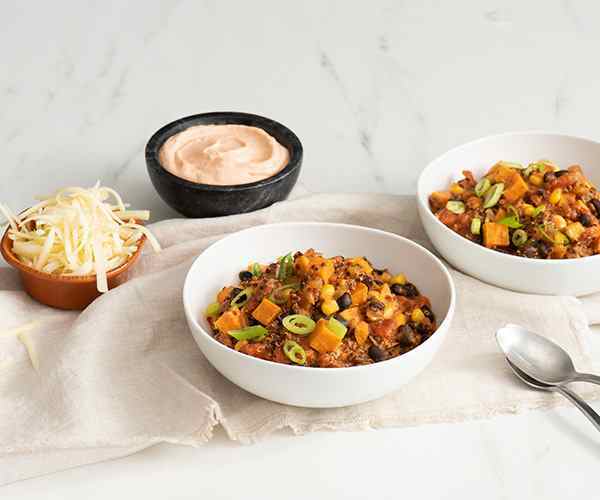 Each serving is packed with protein, is low and fat, and rich in vitamins and minerals. Milk ingredients, salt, citric acid, guar gum, mono and diglycerides, xanthan gum, locust bean gum, lactase enzyme, bacterial culture, microbial enzyme, carbon dioxide. 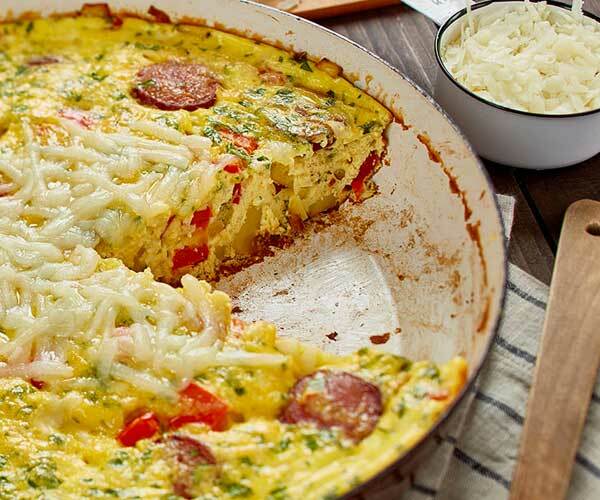 Packed with protein, but low in calories, it brings all the benefits of cottage cheese without the lumpy texture. 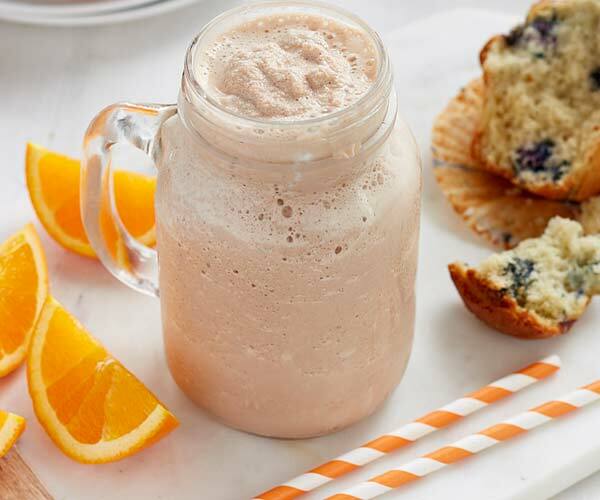 Nordica Smooth Plain is the perfect ingredient for today’s health hungry consumer, and is the new way to enjoy smoothies, dips, baking or cooking. 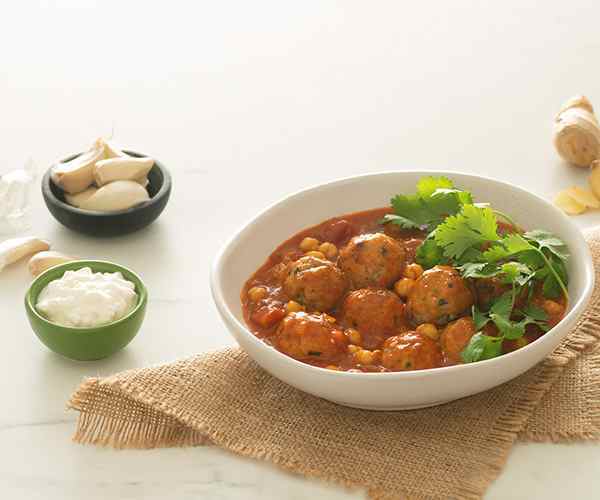 We bring the protein, you add the flavour. There’s nothing plain about it. SKIM MILK, MILK, MILK PROTEIN, SKIM MILK POWDER, CREAM, GUAR GUM, XANTHAN GUM, CARRAGEENAN, LOCUST BEAN GUM, ACTIVE BACTERIAL CULTURES, MICROBIAL ENZYME. 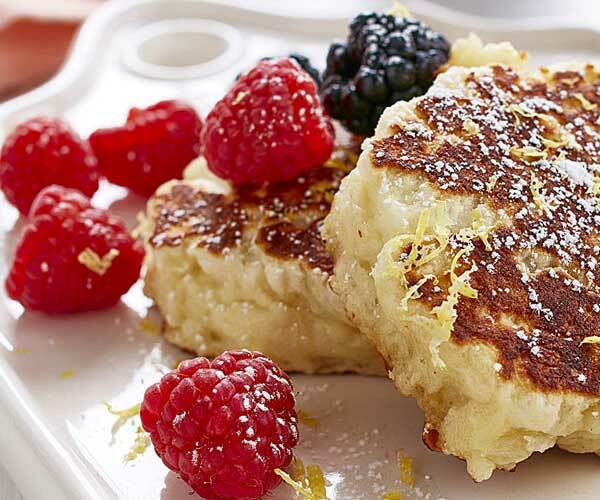 Packed with protein, low in fat, naturally delicious. 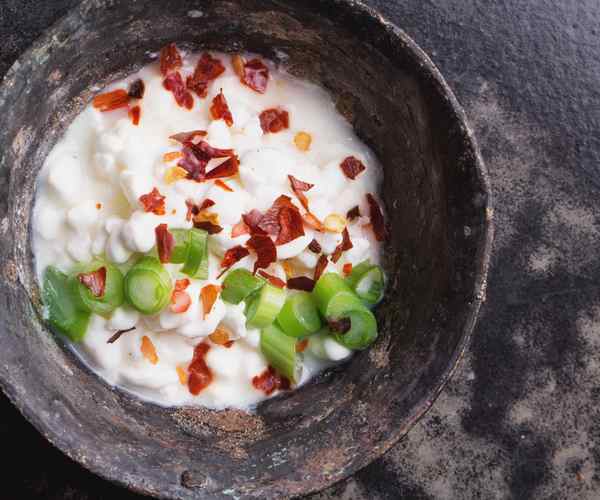 The health benefits of cottage cheese you want, with the smooth, creamy texture you crave. 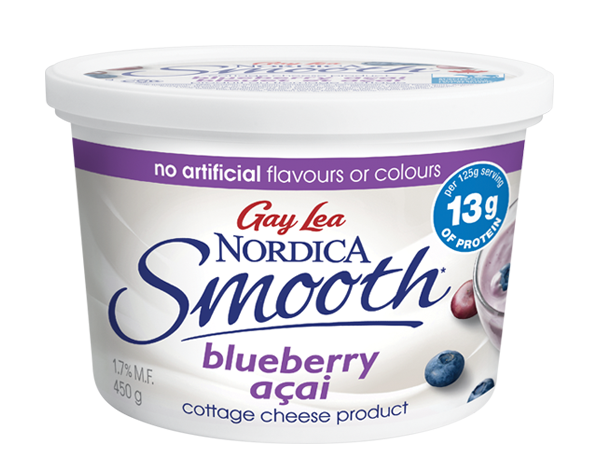 Nordica Smooth Blueberry Acai is the unimaginably smooth treat that can be enjoyed as a snack anytime, on its own, or with your favourite add-ins. 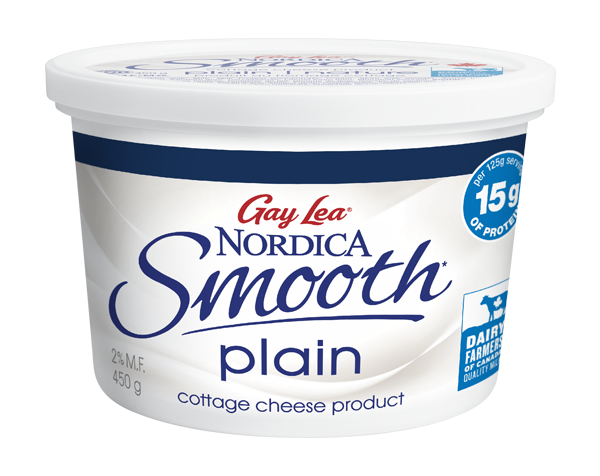 With more protein and less sugar than leading Greek yogurts, and only natural flavours and colours, you’ll be blown away by this new take on cottage cheese! 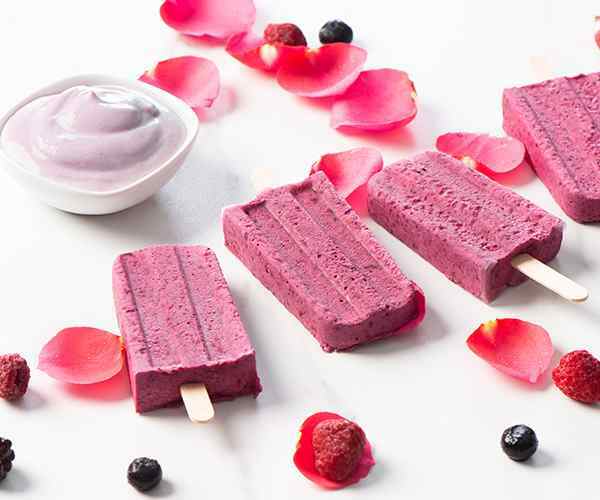 Milk ingredients, Milk protein, Guar gum, Xanthan gum, Carrageenan, Locust bean gum, Active bacterial cultures, Microbial enzyme, Blueberry acai preparation (Sugar, Water, Blueberry puree, Acai puree, Rice starch, Pectin, Natural flavour, Locust bean gum, Blueberry and carrot juice, Lemon juice concentrate, Calcium phosphate). Anything Goes, anywhere. 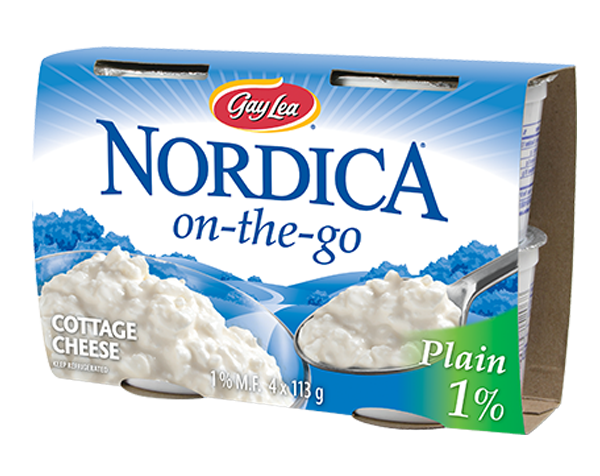 On-the-go eating is a snap with Nordica Single Serve Cottage Cheese. 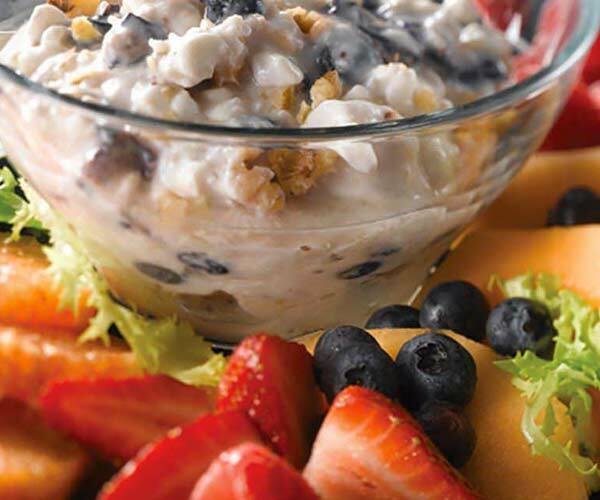 Mix it up with granola or trail mix, or savour it all on its own. Each 113g serving tops up your energy, and is packed with protein. Available in Peach. Unimaginably Smooth & Delicious. 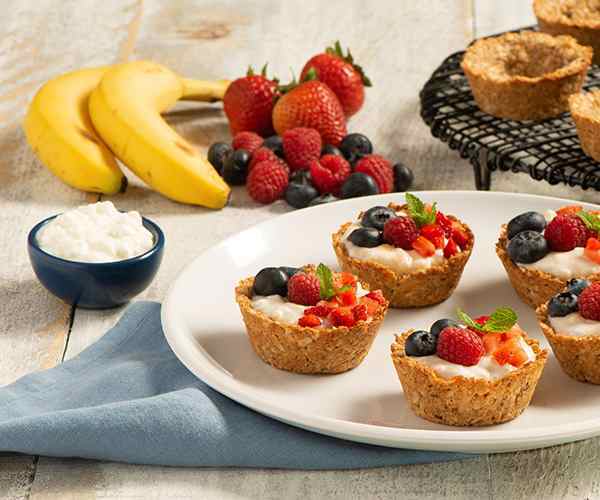 Enjoy all the benefits of cottage cheese without the lumpy texture! 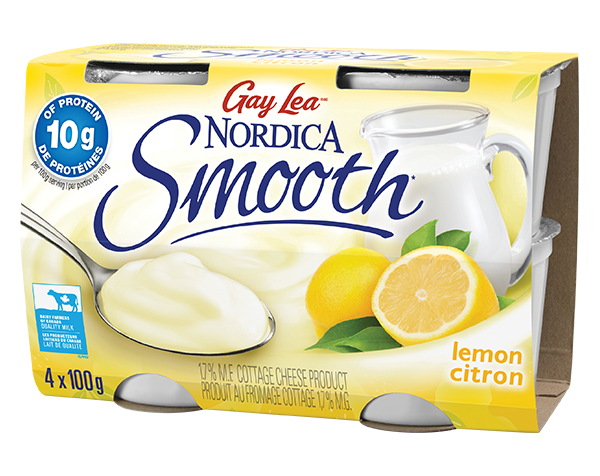 Packed with 10g of protein per serving, and only 110 calories, Nordica Smooth also comes in Vanilla Bean and Lemon flavours. 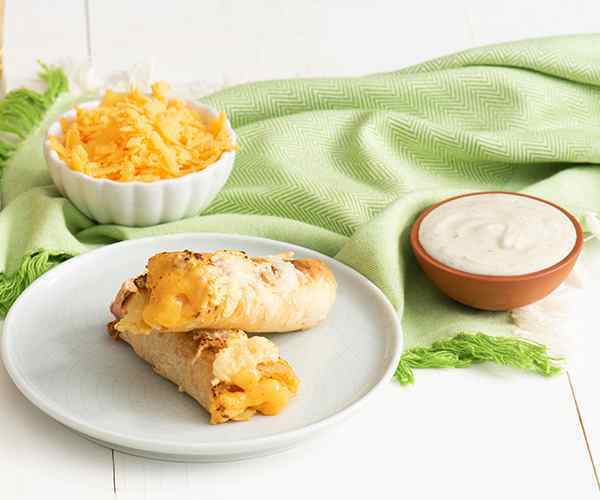 This unimaginably smooth and creamy treat can be enjoyed as a snack anytime on its own or with your favourite additions. 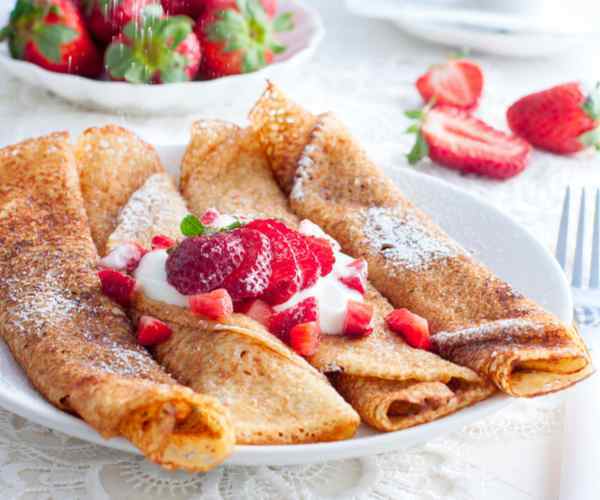 Skim milk, milk, sugar/glucose-fructose, water, milk protein, sweetened condensed milk, skim milk powder, cream, rice starch, natural flavour, pectin, lemon juice concentrate, salt, caramel colour, guar gum, xanthan gum, carrageenan, locust bean gum, disodium phophate, active bacterial culture, microbial enzyme. Unimaginably Smooth & Delicious. 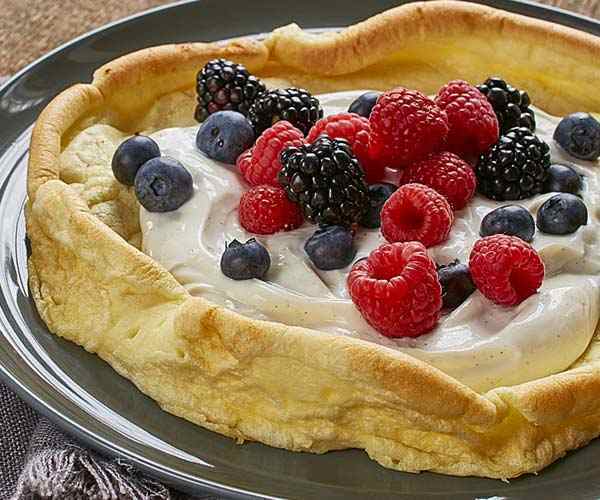 Enjoy all the benefits of cottage cheese without the lumpy texture! 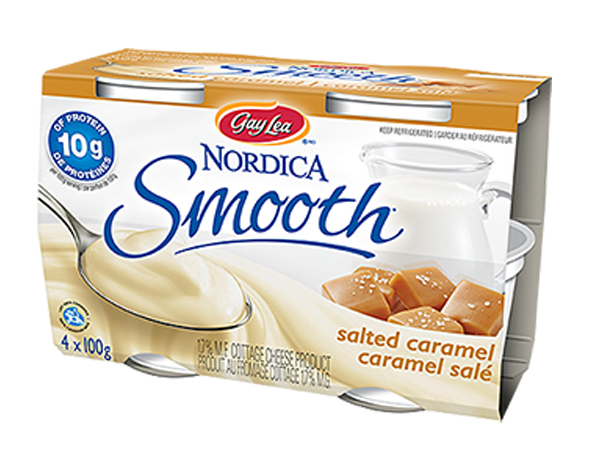 Packed with 10g of protein per serving, and only 110 calories, Nordica Smooth also comes in Lemon and Salted Caramel flavours. 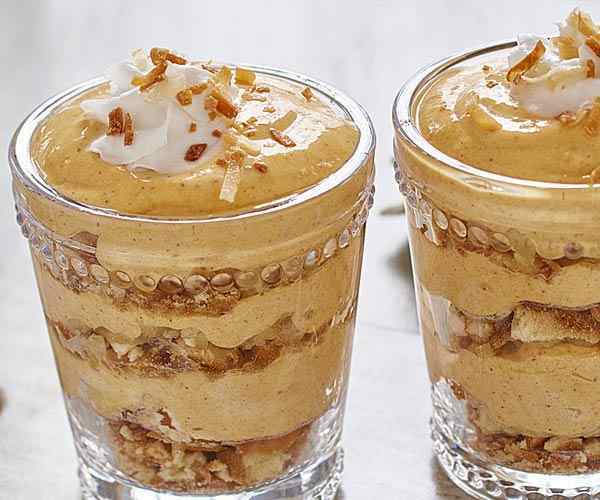 This unimaginably smooth and creamy treat can be enjoyed as a snack anytime on its own or with your favourite additions. Milk ingredients, milk protein, sugar, water, rice starch, natural flavour, vanilla bean, guar gum, xanthan gum, carrageenan, locust bean gum, lemon juice concentrate, active bacterial cultures, microbial enzyme. Unimaginably Smooth & Delicious. 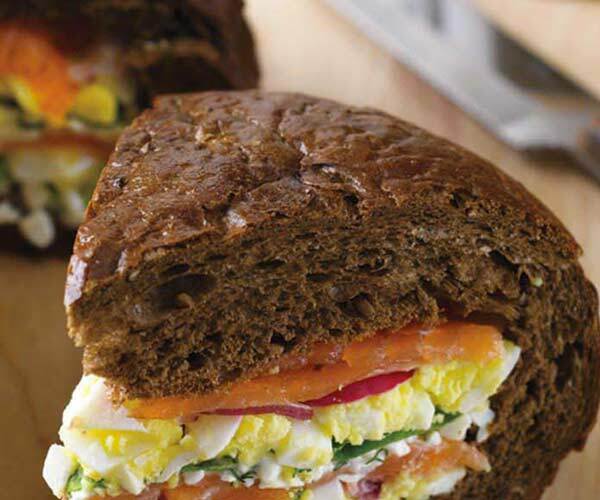 Enjoy all the benefits of cottage cheese without the lumpy texture! 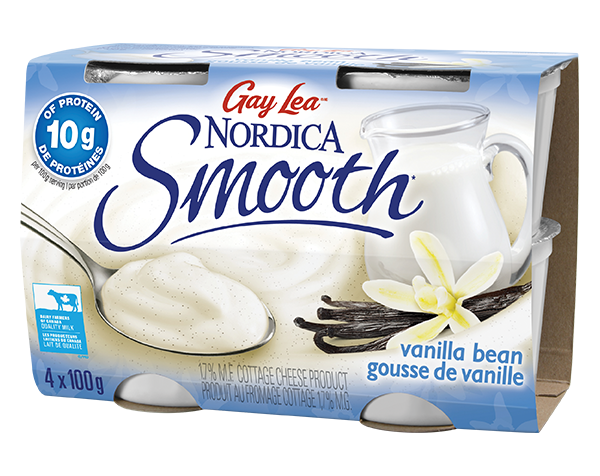 Packed with 10g of protein per serving, and only 110 calories, Nordica Smooth also comes in Vanilla Bean and Salted Caramel flavours. 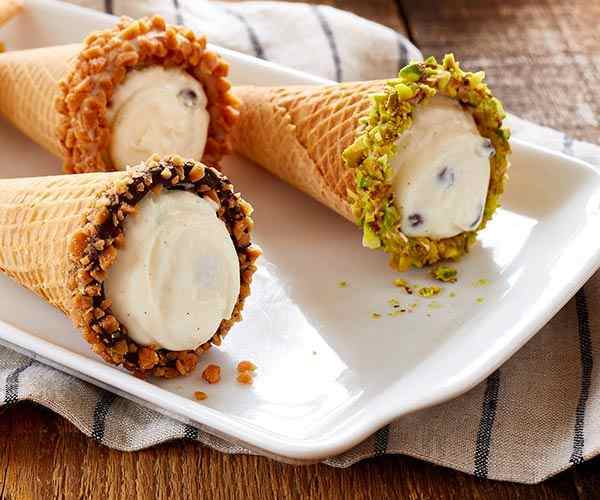 This unimaginably smooth and creamy treat can be enjoyed as a snack anytime on its own or with your favourite additions. Skim milk, milk, sugar, water, milk protein, skim milk powder, cream, rice starch, natural flavour, guar gum, xanthan gum, carrageenan, locust bean gum, lemon juice concentrate, pectin, key lime juice concentrate, disodium phosphate, colour, active bacterial culture, microbial enzyme. 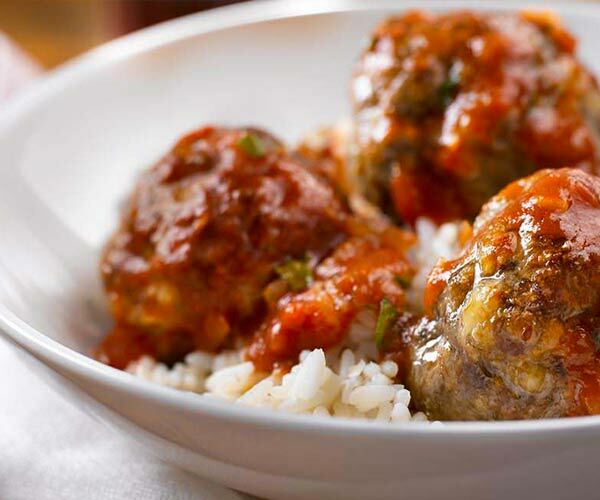 Packed with protein, low in fat, and full on flavour. 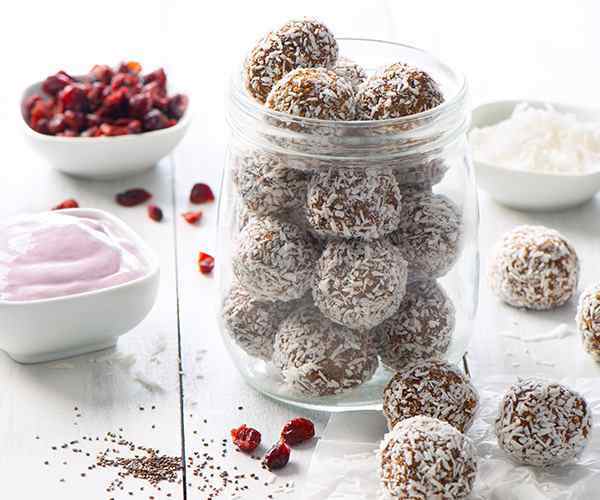 This is your guilty pleasure snack – without the guilt. 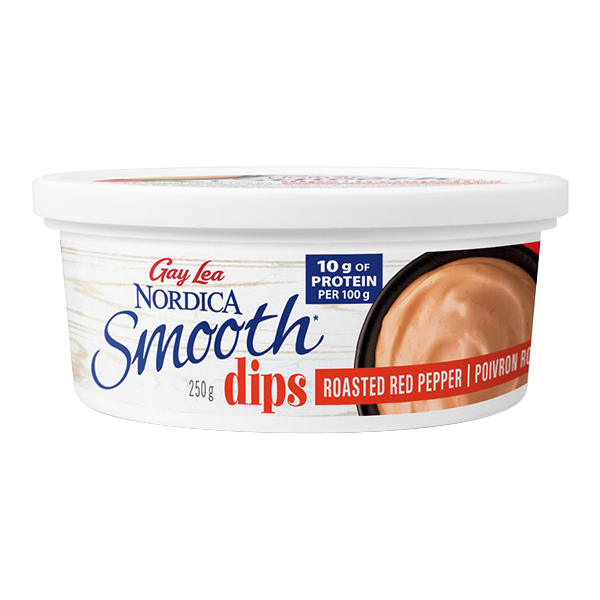 This deliciously smooth dip brings all the rich flavour you expect from your dip, plus all the health benefits from smooth cottage cheese that you didn’t. 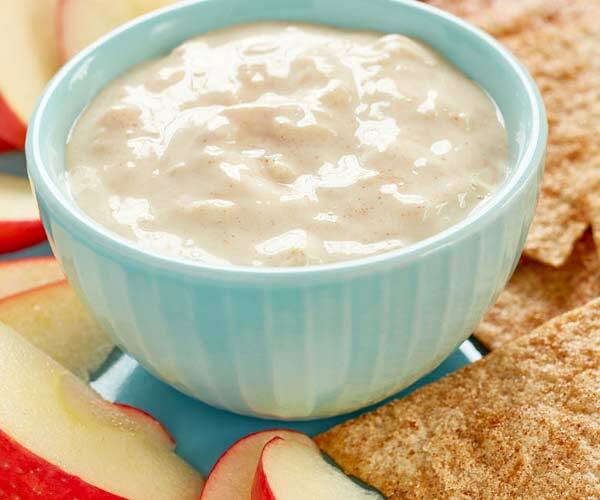 Whether enjoyed as a snack with chips or raw veggies, or as an addition to your favourite recipes, this dip is always a crowd pleaser. 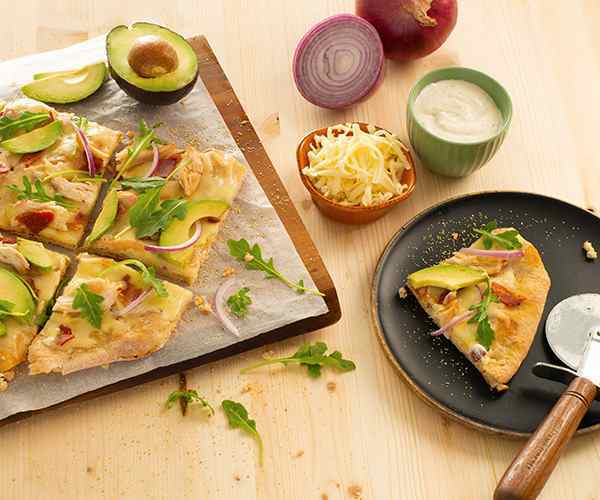 And since it’s also available in savoury Dill Ranch, there’s no reason why you can’t indulge (guilt-free) today. So go ahead - Dip Into The Revolution. 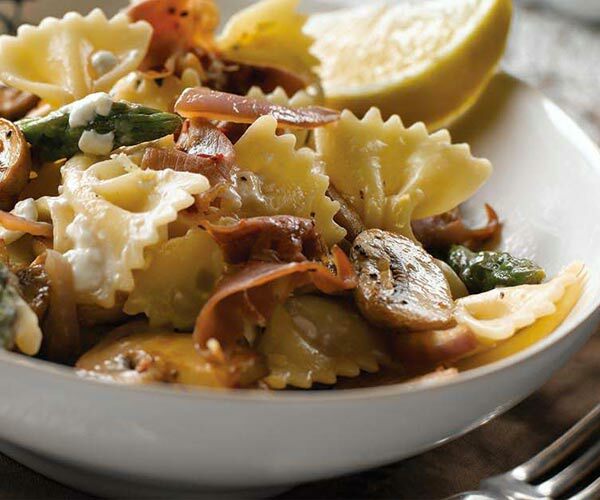 Milk ingredients, Water, Milk protein, Concentrated crushed tomatoes, Maltodextrin, Red bell peppers, Sugar (sugar/glucose-fructose), Vinegar, Jalapeno peppers, Rice starch, Salt, Garlic powder, Dried green bell pepper, Onion powder, Canola oil, Natural flavour, Spices, Lemon juice concentrate, Xanthan gum, Potassium sorbate, Guar gum, Carrageenan, Locust bean gum, Active bacterial cultures, Microbial enzyme. 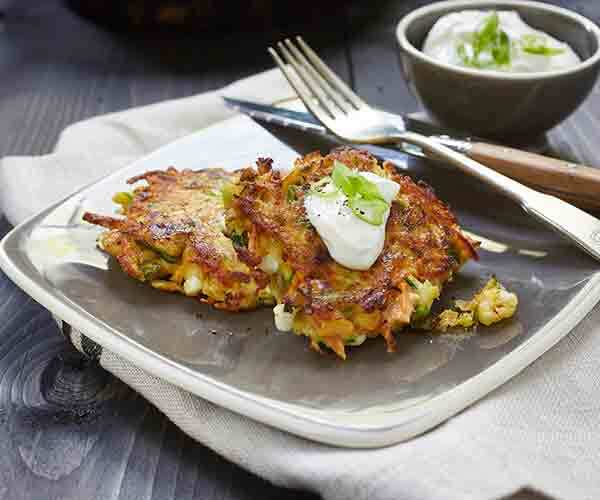 Packed with protein, low in fat, and full on flavour. 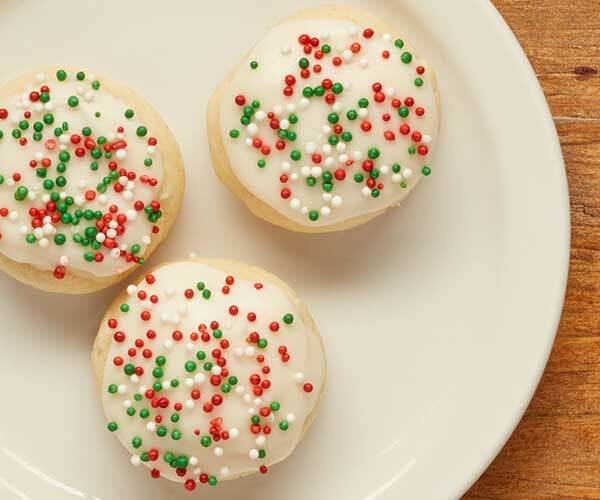 This is your guilty pleasure snack – without the guilt. This deliciously smooth dip brings all the rich flavour you expect from your dip, plus all the health benefits from smooth cottage cheese that you didn’t. 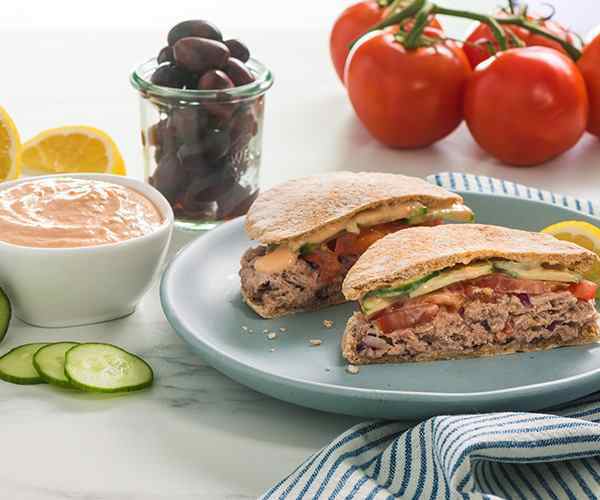 Whether enjoyed as a snack with chips or raw veggies, or as an addition to your favourite recipes, this dip is always a crowd pleaser. 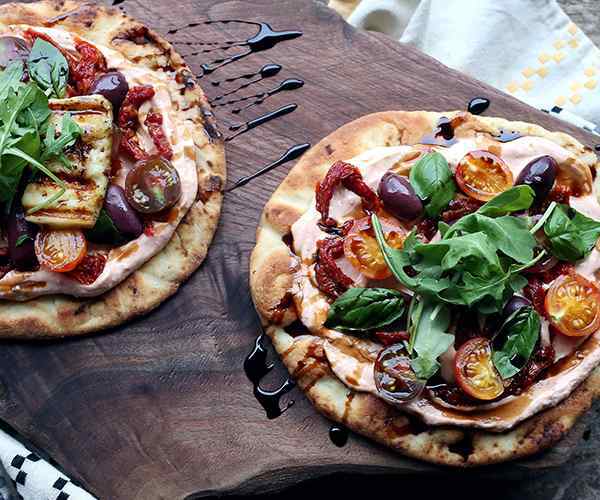 And since it’s also available in savoury Roasted Red Pepper, there’s no reason why you can’t indulge (guilt-free) today. So go ahead - Dip Into The Revolution. 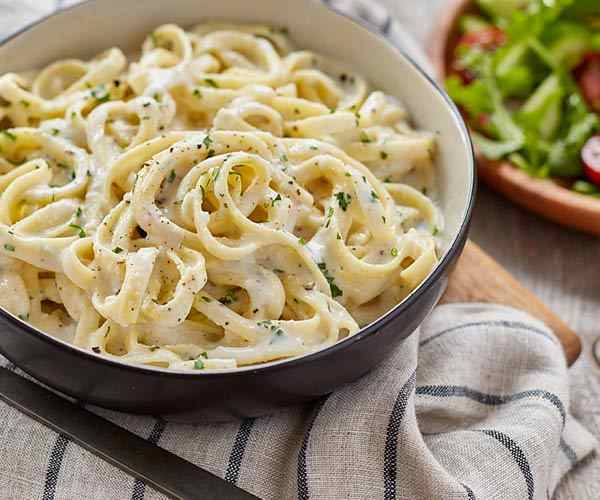 Milk ingredients, Water, Milk protein, Sugar (sugar/glucose-fructose), Vinegar, Salt, Rice starch, Garlic powder, Onion powder, Lactic acid, Canola oil, Pectin, Natural flavour, Dill weed, Herbs and spices, Xanthan gum, Potassium sorbate, Guar gum, Carrageenan, Locust bean gum, Active bacterial cultures, Microbial enzyme.